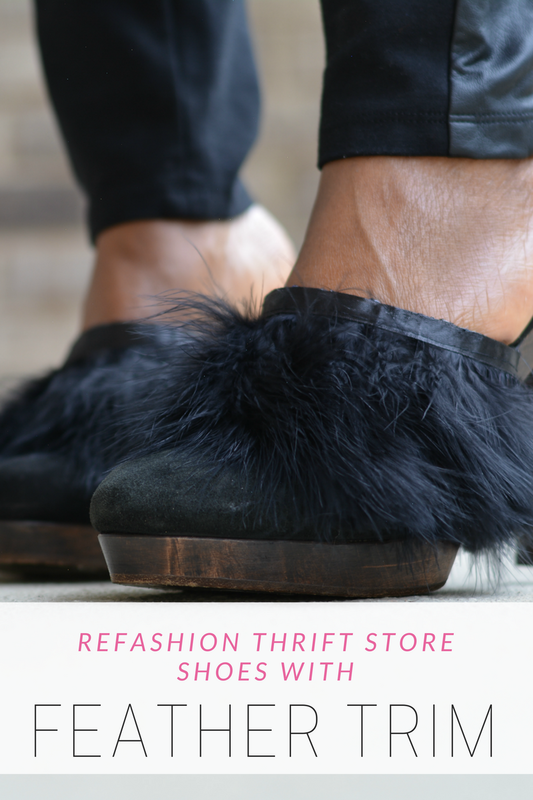 When the thrift store gives you a great pair of shoes that aren't quite your cup of tea, you make feather mules. You can absolutely use other trims too but feathers are easy and the trend du jour. Mine are inspired by $450 Tibi Bee Feather Mules. 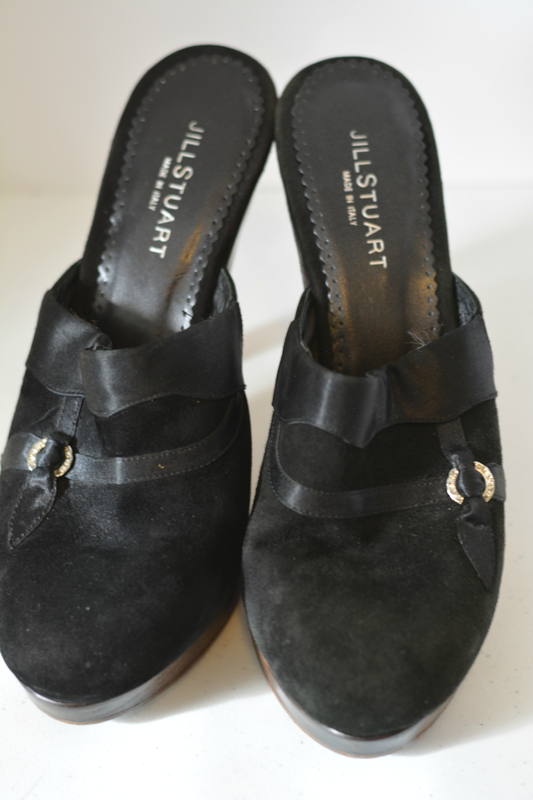 I thrifted these Jill Stuart mules about 3 years ago. They were brand new with a retail value of $350 so I tried to sell them on eBay. They didn't sale and I decided to keep them because they really are great shoes. The only thing about the shoe I did not like was the rhinestone detail. It felt kind of dated so I covered it with feathers. You don't necessarily need to find mules to do this diy. Any old shoe you want with flaws or details you'd like to cover will work. You don't have to use feathers either. Fun fur, patches, and large jewels are all great embellishments that can easily be glued on. Instructions: Dab glue to edge of shoes in small sections. Carefully press trim to glue leaving a bit of trim out at each edge to fold over and create a nice clean finish. Glue in place. Clean up any excess glue bubbling out. Trim the plumage to your desired length. I cut mine down to keep from scraping the ground like these furry $1400 Gucci goat hair slippers. I wore them with a couple of other thrift store finds. Both are from my Black Friday thrift haul. I love how big and floppy the sweater is. It's like wearing a blanket. 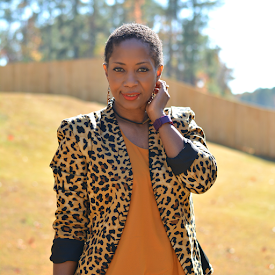 Stretchy pants are my favorite so I was glad to find this pair with faux leather side trims. It gives them a dressier look that's a subtle step about leggings. Are you a fan of furry heels?